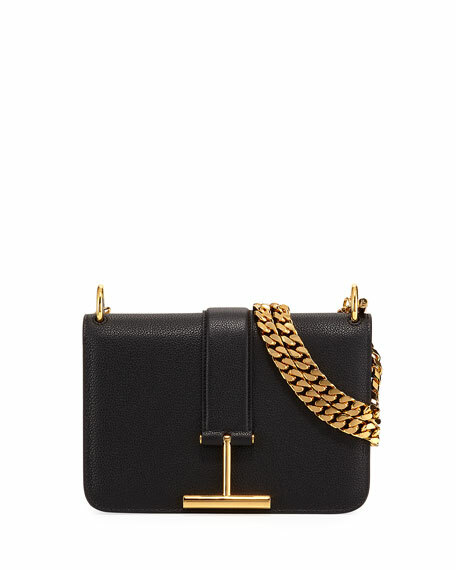 TOM FORD "Tara" shoulder bag in epson grain calf leather. Metal chain shoulder strap may be doubled, 16.9-21.6" drop. Full flap top with T hardware and magnetic closure. Inside, leather lining; zip pocket. Bag weight: approx. 2.2 lbs. For in-store inquiries, use sku #2358286.